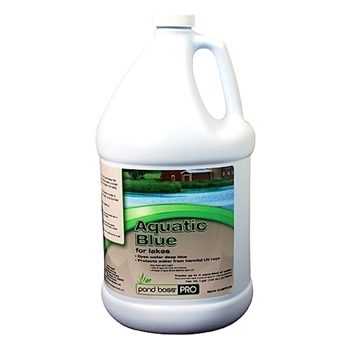 Pond Boss PRO Aquatic Blue tints water a deep blue to help protect it from harmful UV Rays, and keeps the water attractive throughout the year. Dyeing your large body of water also helps to filter sunlight and keep the water a cooler temperature to help the Ecosystem flourish. Pond Boss PRO Aquatic Blue also helps to add shade to the lake in the early Spring time until Aquatic flora begins to grow.